1. Strive for mutual trust and understanding between both groups through straight-forward, constructive and honest dialog. 3. Get everyone on the same page involving the most inconsistently enforced rules (called or not – and why). 7p-8p – Dan Kellogg (official) & Pete Oudsema (official) will give a presentation about effective communication. Ken Stefanski (official) will give a presentation about holding including video. 8p-9p – Open forum Q&A. 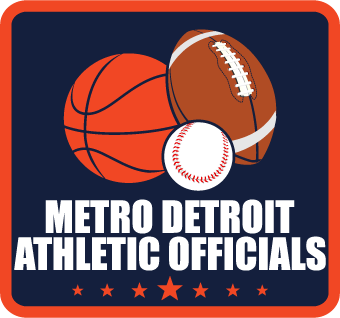 Coaches, officials and AD’s are encouraged to e-mail Bob Foss (bob@detroit2auto.com) any specific questions in advance. With your help, we can continue to improve the High School Football experience for everyone.